Any guy would be glad to get these gifts. When it comes to the holidays, the earlier you can start shopping, the better. Besides avoiding crowds and saving money, shopping in November can also be a great way to ensure you actually get the gift you want to give, instead of just settling for whatever is left on those department store shelves. Of course, knowing what you want to give your loved ones is the tricky part. 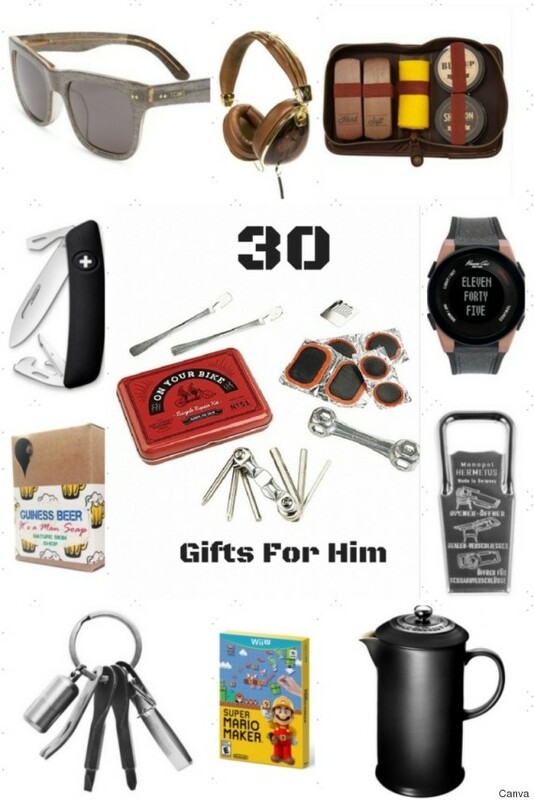 In the slideshow below, we've rounded up 30 holiday gift ideas for the guys in your life. Whether you want to buy something for your brother, a lover, your dad or a distant cousin, these gifts are sure to put a smile on most men's faces. Have you started holiday shopping yet? Let us know when you plan to hit the malls in the comment section below.